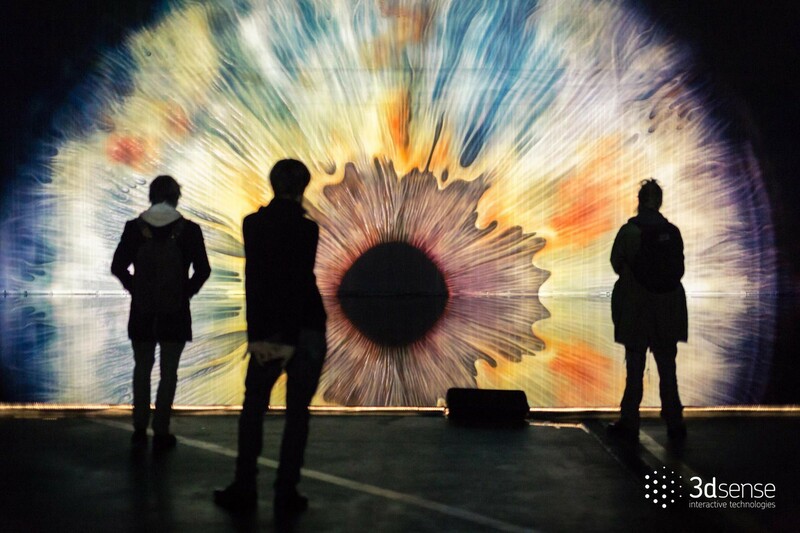 A large scale interior installation for BLIK BLIK Festival of Light 2018. 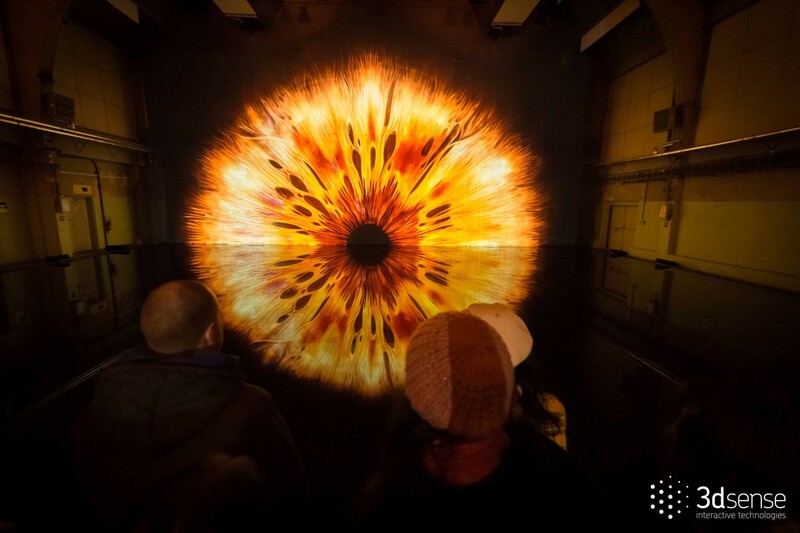 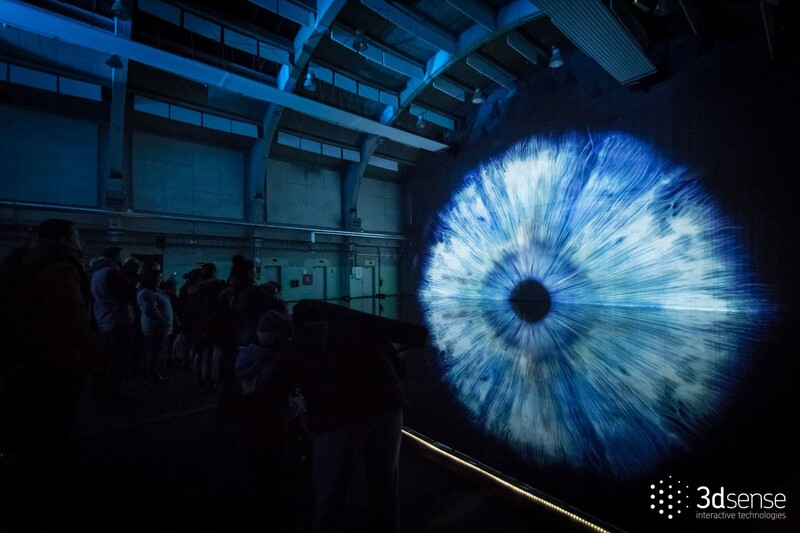 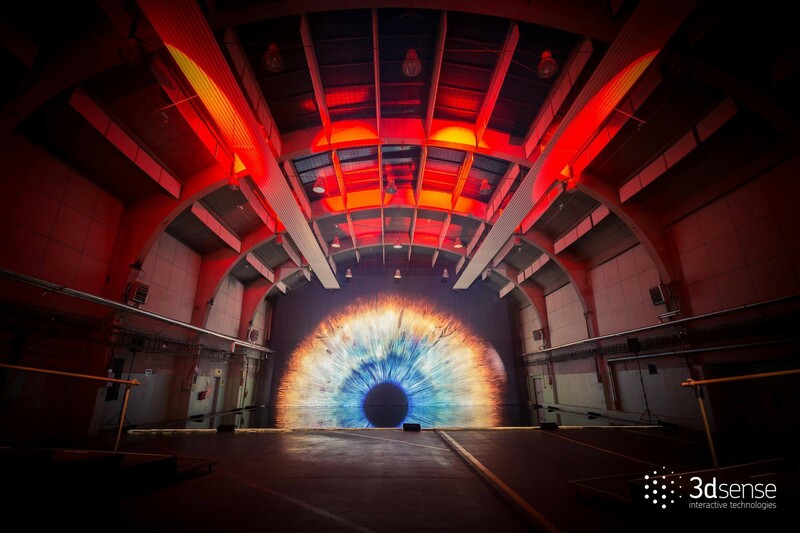 The projection shows a model of a human eye magnified a thousand times, averaging 25 meters in diameter. 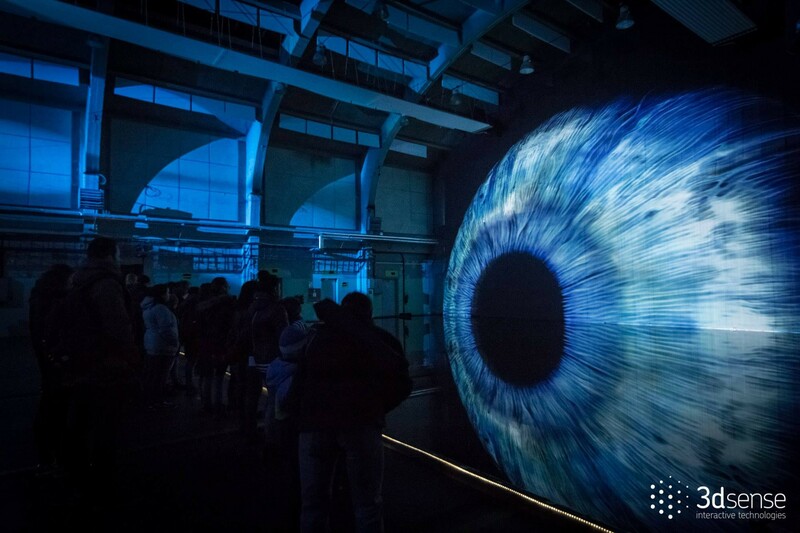 The scale of the object allows audience to discover the uniqueness of every single human iris. 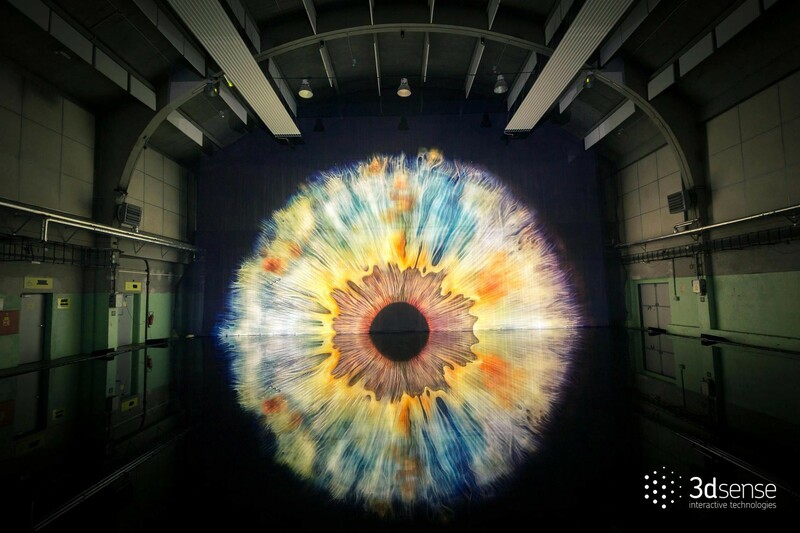 The scans of the eyeballs were performed using a combination of medical microscope photography and digital SLR.